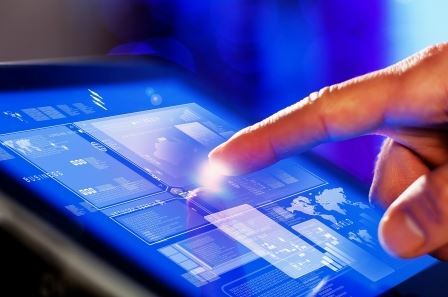 The Benefits of Touch Screens | Northpoint Technologies Inc.
Today touch screens are ubiquitous, but for many of us, they’re still a relatively new technological development. Some people may remember using touch screens in their infancy a couple of decades ago at places like Epcot Center in Disney World or at science museums. At the time, people were amazed you could touch a screen and move things, since before you always needed a mouse or arrows on a keyboard. Who would have thought at the time that touch screens would become the new “norm” years later? Indeed, in today’s world touch screens are the new standard. People expect them! What are some benefits of touch screens? Well, for starters they speed up the process of interacting with a device. Instead of using arrows on a keyboard or a mouse connected by a wire to a computer, touch screens utilize a person’s finger to pick and choose exactly what they want when they want it. Touch screens are easy to use. They’re typically intuitive. If you’ve watched a three-year-old use an iPad lately, you’ll notice how they take to it like a fish to water. They can use their finger to swipe to the next slide, photo, or graphic, and it’s like breathing air– it just comes naturally to them. Touch screens are becoming increasingly integrated with “The Internet of Things,” such that people of all ages utilize them. People with physical limitations, senior citizens and others find touch screens to be quite accommodating compared to previous things like keyboards and mice. Interestingly, touch screens are also used to prevent unauthorized entry. For instance, a person may need to use their finger to enter a code into the screen in order to gain access to something, such as an email account or to unlock a door. In our digital world, the future has arrived with the popularity of touch screens. Northpoint Technologies, Inc. specializes in helping businesses construct the right touch screen for their needs. For more information, contact them today. Accepted file types: jpg, gif, png, pdf, dwg, dxf.